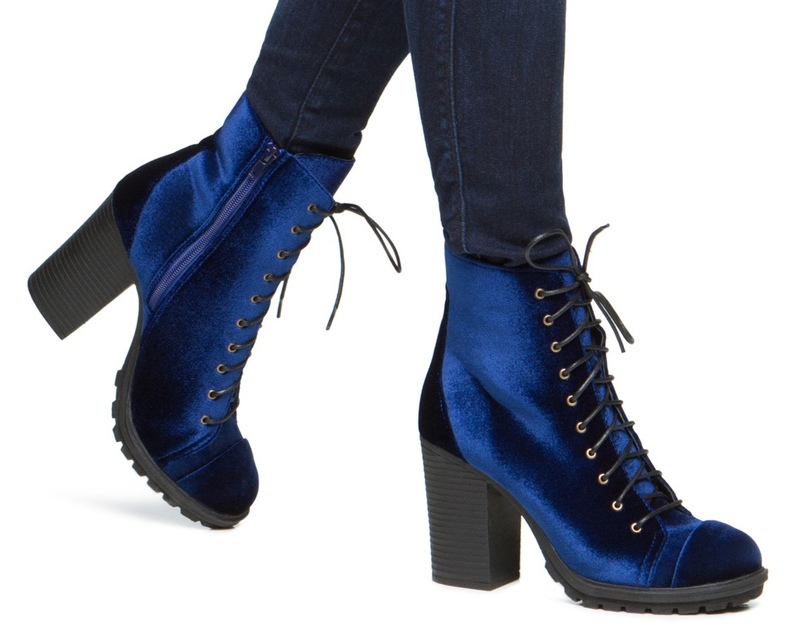 "What is that velvet?" Why yes, yes it is....well almost! 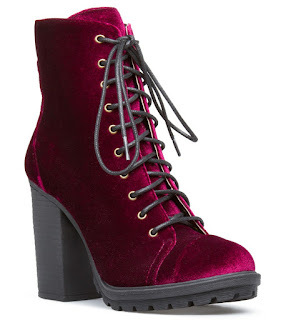 We love this modern update to Victorian boots, a footwear style that also ruled the 90's. 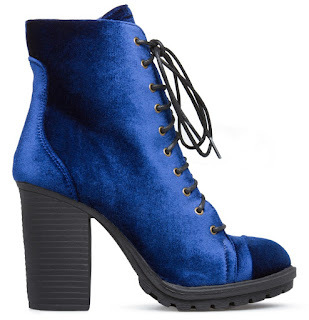 Say hello to the ShoeDazzle Neveah Boots, a cool jewel-toned beauty with a faux-velvet upper, lace-up silhouette, coated laces, side zipper closure, a slightly raised toe box, and a 4" block heel and lug sole. This drool-worthy boots is available in two very deep, rich colors - blue, and red (it's more of a boysenberry) and retails for $49.95. Love them as much as we do? 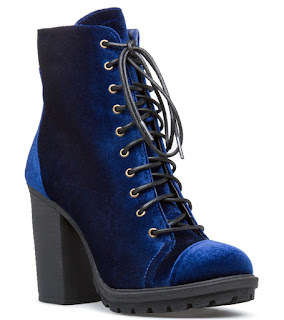 Head over to ShoeDazzle.com to get them in your size.